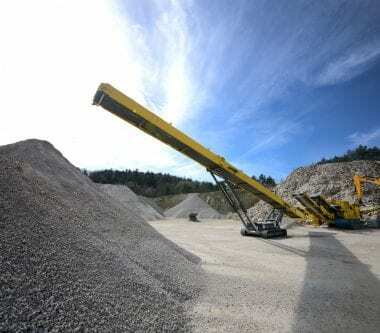 Leading the way in heavy equipment technology through their innovative design. Since 1988 Keestrack has been a leading manufacturer in the design and production of track mounted mobile screening and crushing equipment. 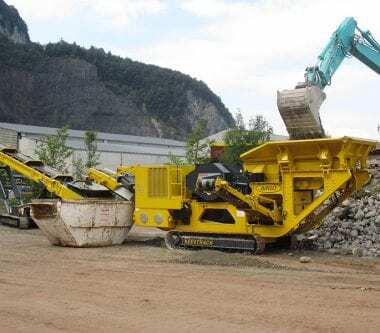 Their turning point came in 1996 when the humble equipment trading company pursued a vision of a direct feed scalper, and manufactured the first track mounted direct feed scalper in the market. Today they are the standard for this model in every industry. 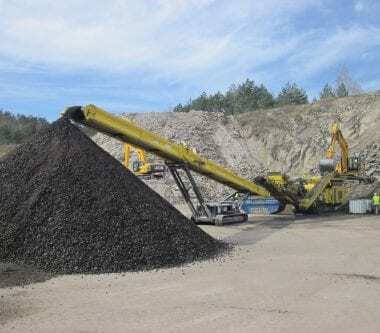 While still a privately and family owned company, their products now range from mobile impact crushers to jaw crushers, all defined by the Keestrack innovation, customer flexibility, and controlled quality. Keestrack is leading the way in heavy equipment technology through their innovative design. For what you see in the small compact size of the (Keestrack) equipment, the amount of throughput and uptime is pretty impressive. As far as fuel consumption, I know we are around 20 litres an hour or so, which is peanuts compared to some of the other equipment out there. See the Keestrack B5 in action, paired with the H4 Cone Crusher, in action.